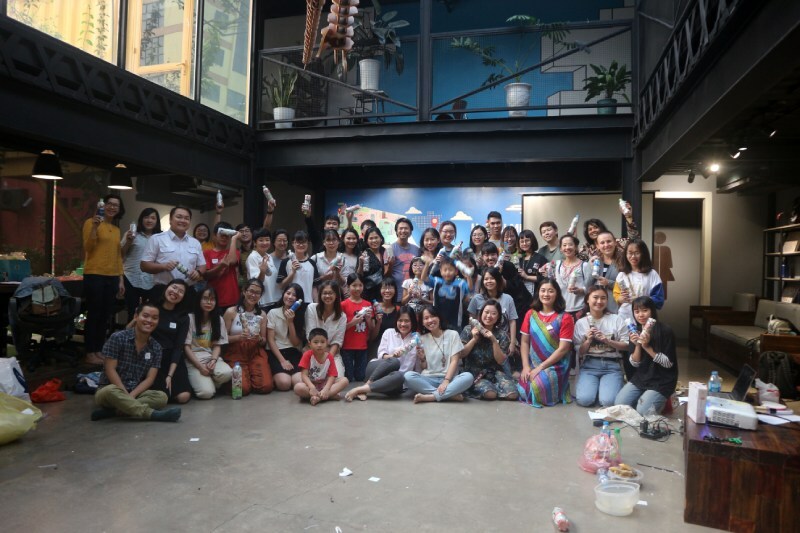 Turning a negative into a positive: 80 volunteers work with GROUND Asia to turn single-use plastic into something useful. 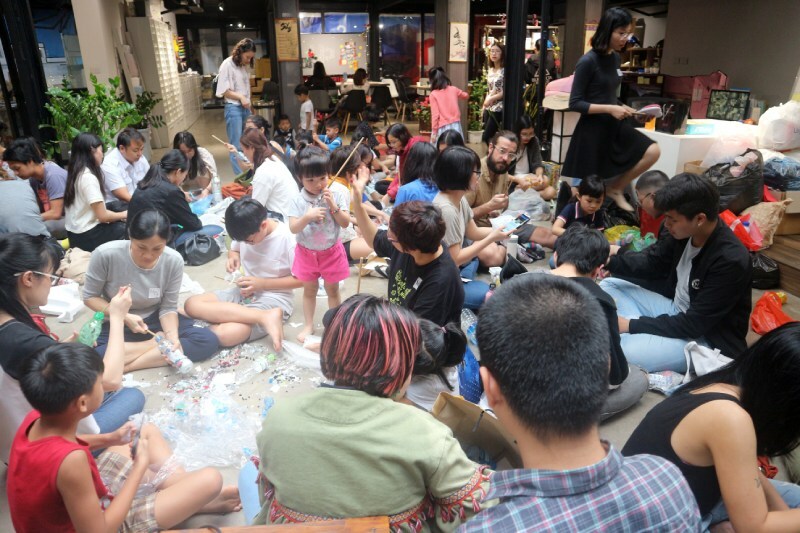 A group of 80 environmentally-conscious locals gathered for an ecobrick workshiop in Hanoi on 6 April. The workshop at UP Co-working Space’s Creative Lab was created by GROUND Asia in collaboration with Make It Happen. It was entitled ‘From Plastic to Ecobricks’. Ecobricks are single-use plastic bottles filled with other single-use plastics. They are packed to a set density which allows them to be used to make modular furniture, garden spaces and even full-scale buildings. The aim is to contain a lot of toxic plastic in a single bottle. This minimises the number of plastics ending up in rivers, landfill sites and the environment. 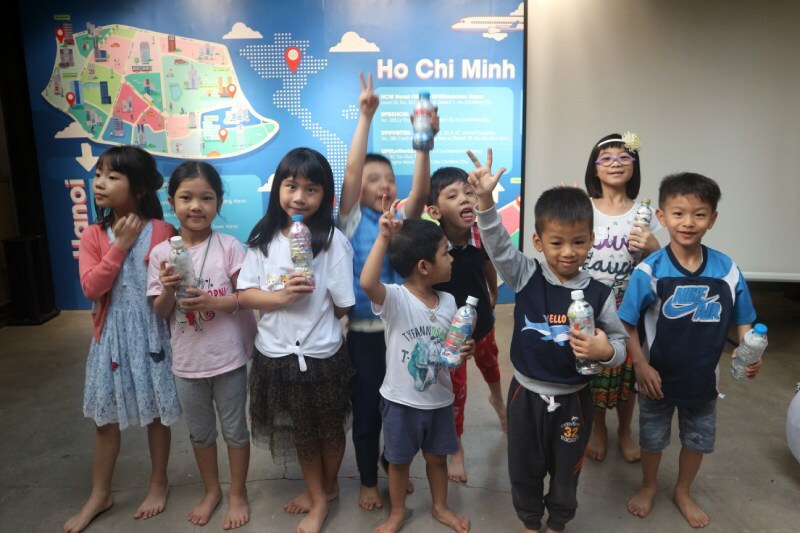 These ecobricks are not new to Hanoi. Many people have been making them by filling single-use plastic bottles with plastic waste such as bags, polystyrene and food packaging, for a couple of years. This event was unusual, however, in that it was the first time that many new and experienced ecobrickers got together and learnt the basic skills that are required to make strong ecobricks suitable for building safe and long-lasting structures. The event was run by GROUND Asia, an educational travel company that focuses on transformational change for the students and communities that they work with. The motivation for creating the event came from the projects that GROUND Asia run with communities that are directly impacted by plastic pollution, mostly in dump sites and rivers across Asia, she said. 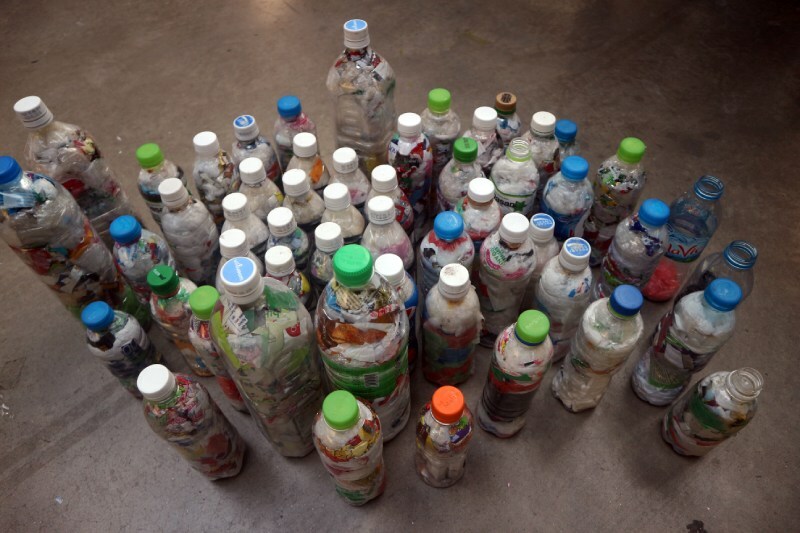 The ecobricks provide a solution by utilising plastics in a way that doesn’t harm the environment. Those made at this event will be used in a community kindergarten project in Mai Chau, 160km from Hanoi in northwest Vietnam. GROUND Asia has been bringing school and university groups to visit Mai Chau to help with infrastructure projects at this community for a number of years. “It’s really important for us to share our knowledge and expertise on social and environmental issues beyond the educational trips that we organise for our groups,” said Ms Gudka. UP Coworking Space, who are keen to develop an environmentally-aware entrepreneurial ecosystem in Vietnam, hosted the event. “In parallel to economic development for UP’s entrepreneurial ecosystem, we want to create a healthy and green working environment for our members,” said Ngô Thiên Ngân of UP Coworking Space. “We have organized numerous events promoting this new ‘art de vivre’. Our new partnership with GROUND Asia is a big step to realise the environmental goals that UP wants to reach this year,” she said.